Vermont Law School has tapped a lawyer for a New England-based environmental advocacy group who won a major climate case in Massachusetts to be its next director of the Environmental Law Center. Jennifer Rushlow will replace David Mears, who stepped down from the position in June during a faculty restructuring process. Her first day is Sept. 10. Thomas McHenry, Vermont Law School's president and dean, called Rushlow a "wonderful match" for the school, which has historically been a powerhouse in environmental law. "Her strong advocacy experience, but also the breadth of her experience and the good work that she's done, ties in extremely well with our long-term commitment to environmental law and environmental quality," McHenry said. "We're thrilled to be welcoming her into the VLS family, but we're also thrilled that her skill set matches so neatly with the areas that we're interested in." 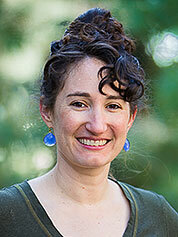 Rushlow comes to VLS from the Boston-based Conservation Law Foundation, where she has worked since 2011. In 2016, she argued the climate case Kain v. Department of Environmental Protection in front of the Massachusetts Supreme Judicial Court. CLF brought the lawsuit challenging the state Department of Environmental Protection's failure to adopt regulations that would establish declining aggregate greenhouse gas emissions limits under the Global Warming Solutions Act, which the Massachusetts Legislature passed in 2008. The state's high court agreed with the group, ordering DEP to take additional measures to address climate change. In an interview, Rushlow said the case was her most important work at CLF. "This law is one of the most powerful climate laws in the country, and the fact that it was passed in the first place was extremely noteworthy, and then the fact that the state wasn't following through on its obligations pursuant to that law was also very noteworthy," she said. "So we felt the state had a responsibility to follow through on its commitment." At CLF, Rushlow also founded a "Legal Food Hub" to provide pro bono legal services to lower-income farmers and food businesses on food safety, unemployment law, real estate matters and other legal issues. Prior to joining CLF, Rushlow was an associate at Anderson & Kreiger LLP, where she worked on environmental and land use, municipal law, permitting and other issues. She earned her bachelor's degree from Oberlin College, her master's degree in public health from Tufts University School of Medicine and her law degree from Northeastern University School of Law. "Jenny will bring to her students and the VLS program a keen and practical sense of the most urgent challenges in energy and environmental law and a passionate appreciation for how those challenges impact social justice," said Bradley Campbell, president of the Conservation Law Foundation. Rushlow lives in Massachusetts, but she has previously taught a summer course on food policy at Vermont Law School. Her interest in food extends to her personal life. She said she loves to garden and hopes to share her passion for growing her own food with her 1-year-old son. She also enjoys potluck dinners and in 2011 appeared on a podcast in defense of the food-sharing activity, a fun fact she notes on her CLF online biography. "We were on a podcast — Judge John Hodgman's podcast, where he mediates disputes between people on silly issues — on whether potlucks are good or bad," Rushlow said. "And I am of the mindset that potlucks are good. I argued against that against my friend and beat him soundly, I think." 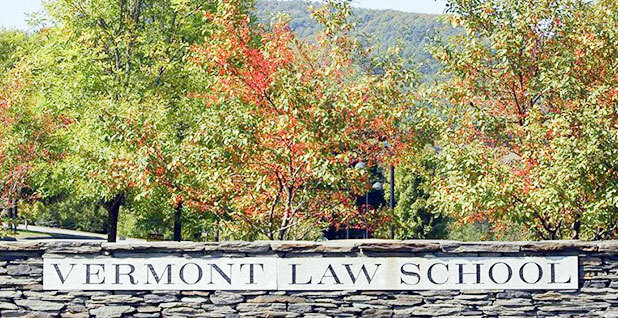 Rushlow is joining Vermont Law School, which was founded in 1972, at the tail end of the "restructuring" process that the school launched in October to address a number of financial challenges. Vermont Law School derives about three-quarters of its funding from tuition. Like other independent law schools, it has had to contend with dropping enrollment levels and fewer opportunities for students after school. Local news organization VTDigger recently reported that the school reduced its tenured faculty by 75 percent, based on conversations with faculty. Mears, the former director of the Environmental Law Center, resigned during the restructuring "to pursue other opportunities" (Greenwire, June 8). McHenry, a former partner at Gibson Dunn in Los Angeles who joined the school in July 2017, would not confirm the numbers but said that many professors negotiated new employment agreements with the school. "What I can say is that a number of our professors have restructured their arrangements with the law school, their employment relationship," he said, "but many of them are going to continue teaching here at the school and contributing to the school." He said that one of the elements of the restructuring was "maintaining a strong environmental law program" and that the curriculum for incoming students will look much like it did last year. "The school is in a much better place today than it was two months ago," he said. The school's operating revenues are currently around $22 million. A positive sign, according to McHenry, is that enrollment levels have increased by double digits each year over the last three years. This fall, the school has an entering class of more than 180 students seeking a Juris Doctor degree. Nationwide, the number of people applying to law school for the upcoming academic years has increased about 8 percent compared with last year, according to numbers reported by the Law School Admission Council. McHenry credited some of the rebound in enrollment at Vermont Law School to the "Trump bump." "I think the realization that there is a large portion of the American populace that's rural and is not seeing any wage gains, and is feeling disenfranchised and angry, has really made people sit up and say, 'What are we going to do?'" he said. Rushlow said "it's a very interesting time" to be an environmental lawyer. "It feels like each day, the news shows increasing social inequity; it shows that our most bedrock environmental laws are being plundered," she said, "and it's hard not to think about the next generation in light of this moment in time." Former Grand Canyon boss lands job in Calif.